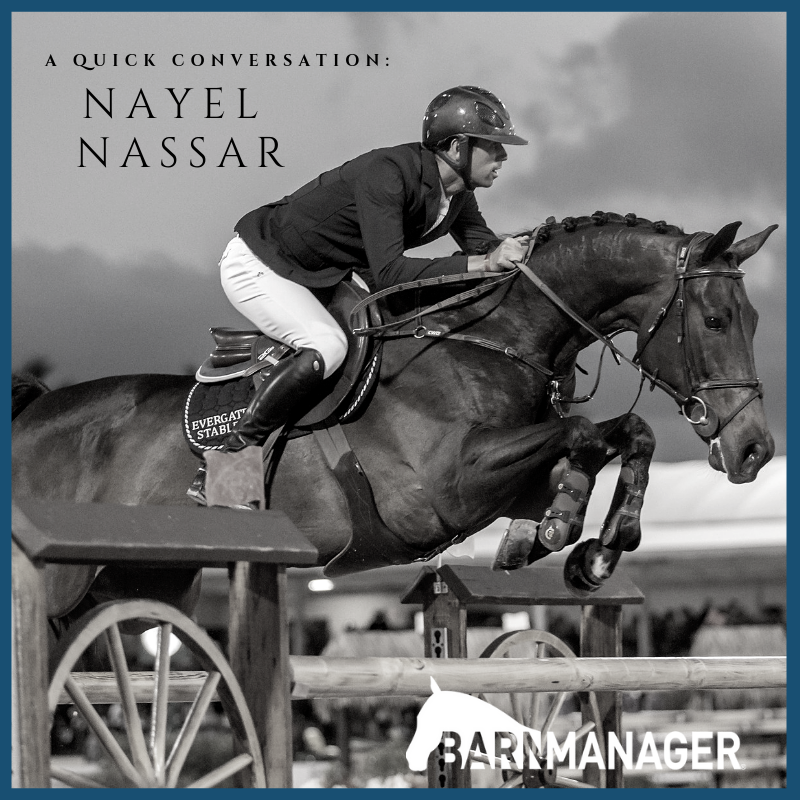 To say Egyptian show jumper Nayel Nassar has had some good results this past month is putting it pretty mildly. 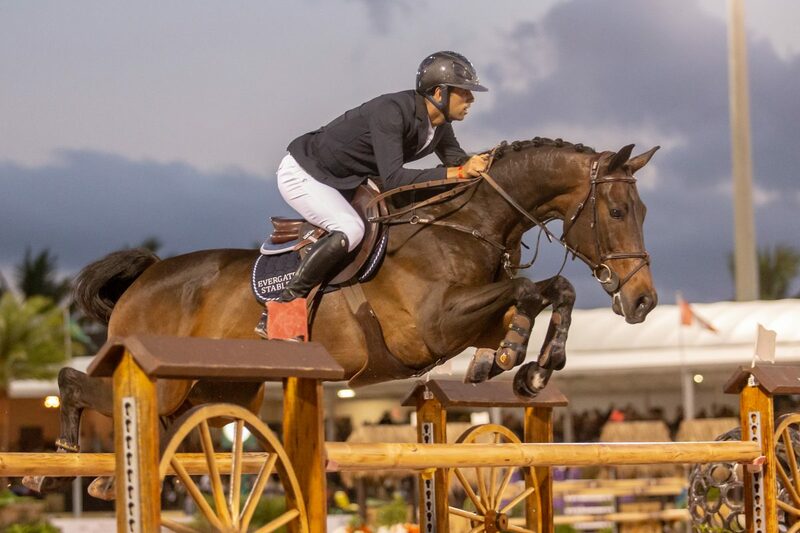 On March 17, the 28-year-old rider and his longtime partner, Lordan, finished second behind two-time U.S. Olympic gold medalist Beezie Madden in the AIG $1 Million Grand Prix at HITS Coachella in Thermal, CA. 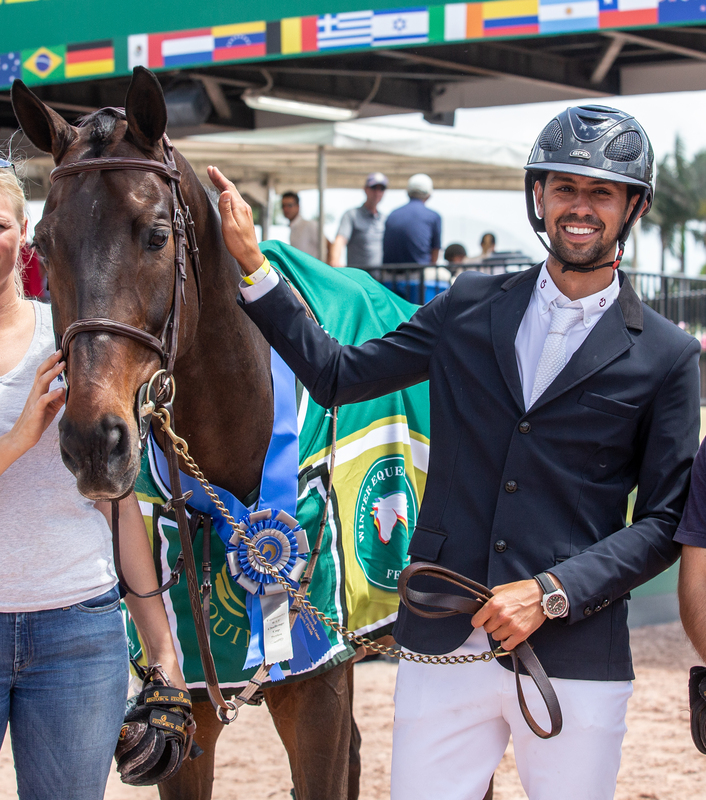 As though two top finishes in $1 million grand prix classes weren’t enough, Nayel and Lucifer V then followed them up with a win in the $134,000 CSI 5* WEF Challenge Cup at the Winter Equestrian Festival in Wellington, FL – only days after winning the Great American $1 Million Grand Prix! 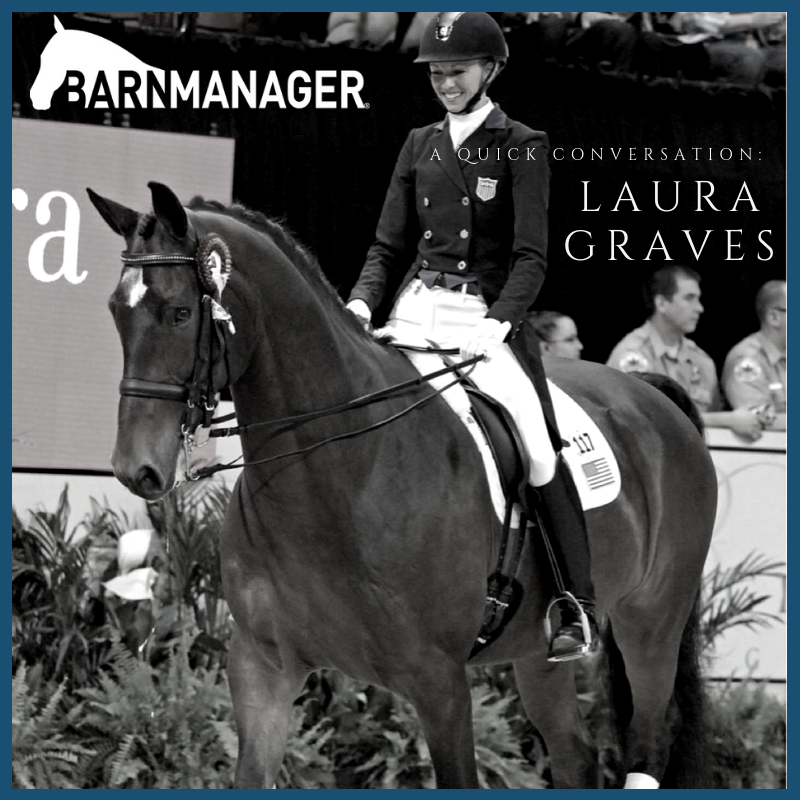 Our BarnManager team caught up with him following his WEF win for a quick conversation! I had a mare called Romantica. She was a five-year-old chestnut mare from Hungary, I believe. She had a lot of blood and was kind of crazy, but she taught me the hard part of the sport and that’s managing difficult horses. It was definitely an interesting introduction! I was probably 10 or 11 [years old]. Q: What’s your favorite riding moment or memory? All of the [HITS] Millions are very special. Each one was different in its own way. I had a really good show at the L.A. Masters a few years ago with Lordan, where he won the speed and was second in the grand prix. I’ve had a few memorable moments, but those are probably the ones that stand out. We have a big year in terms of Olympic qualification. We have a Nations Cup at the end of the year for the Olympic bid for the Arab countries, so I’m trying to be informed for that and have one or two horses at least ready for that. 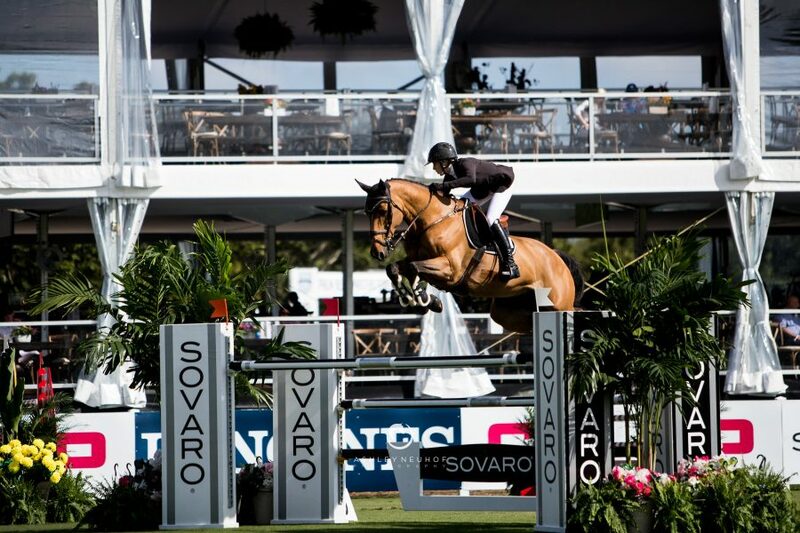 My goal was to qualify for [the Longines FEI Jumping World Cup™ Finals]; I qualified, but I decided not to go. My horses are a little older, so I decided to save them a little bit for the [Longines Global Champions Tour] and for these big grand prix classes and try to keep them a little fresher for that. That was a hard choice to make, but I think that was the right one. I’m really just trying to keep them happy and healthy so that at the end of the year, when we have that Olympic qualifier, we can put in a good effort. I’m up usually between 7 and 7:30 a.m. I might try to be on my first horse between 8 and 8:30 a.m. I flat or jump depending on what the horses need. I’m basically at the barn all day and doing whatever needs to get done in the afternoon, whether it’s a lighter trail ride or helping around the barn or whatever. Once the weekend comes around, we’re usually at a show, so it’s usually just trying to enjoy the down time when we’re at home and letting the horses be free in the paddocks a little bit. Go out and look for as many opportunities as you can, and just try to be as involved as possible even if it’s at the lowest level. I think just putting yourself out there; that’s the most important thing. As a professional myself, I’m very encouraged when I see somebody who has the right drive and who wants to make it and be something in the sport. I’ll always try to help them out whenever I can. I think there are a lot of trainers who are like that. If you put yourself out there and you’re not afraid of rejection and you keep trying to find a place for yourself, somebody is going to give you a shot. Then it’s just a matter of working hard and trying to make it to the goals that you have set for yourself. Bonus Question! : What’s one thing that’s always in your ring bag or that you don’t go to the ring without? This is new, but it’s a tie clip that [girlfriend Jennifer Gates] got me at the beginning of circuit because she got irritated with my tie always flying around! I tried to safety pin it in, but then it looked so bad, so she got me a tie clip, and now I take it everywhere! 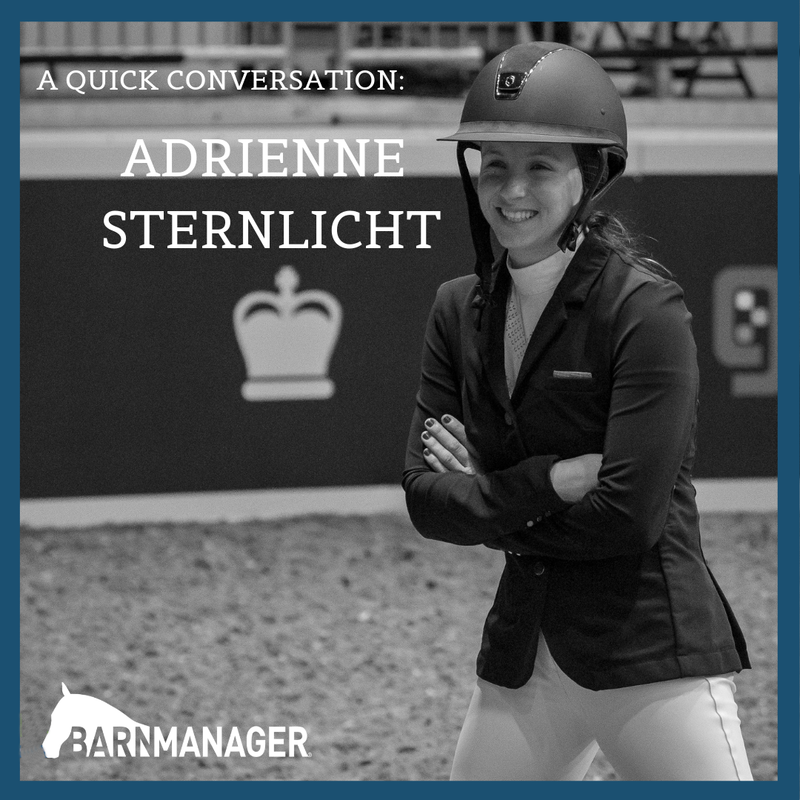 Adrienne Sternlicht made headlines in September 2018 as part of the USA’s gold medal-winning show jumping team at the FEI World Equestrian Games™ Tryon (WEG), but the 25-year-old was a powerhouse rider to watch well before that! 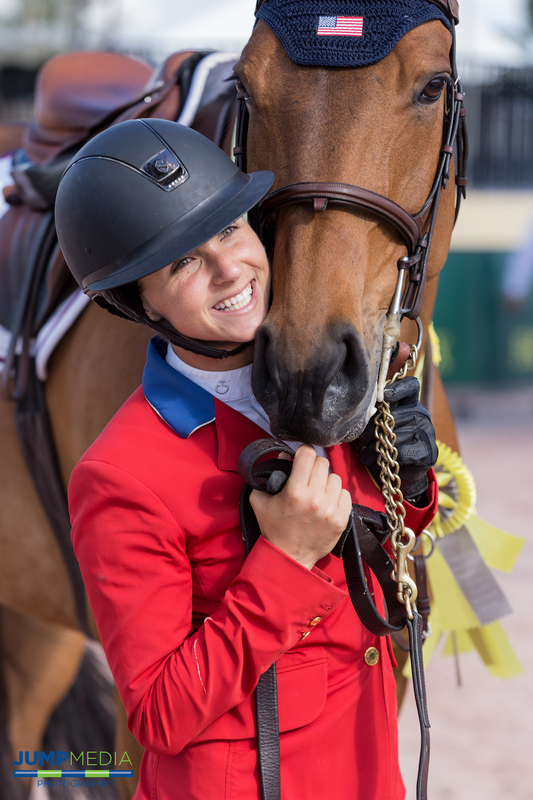 The Brown University grad made her U.S. show jumping Nations Cup debut in May 2017, and since then she’s been a member of numerous Nations Cup teams and accumulated a number of top individual finishes while training with McLain Ward. Just this month, Sternlicht was part of the gold medal-winning U.S. team at the FEI Jumping Nations Cup Wellington CSIO4*. An added bonus about Sternlicht? She is also part of our Equine Tech Collab‘s Masterclass Innovation Series: A Mindful Approach to Horse and Rider on March 19! 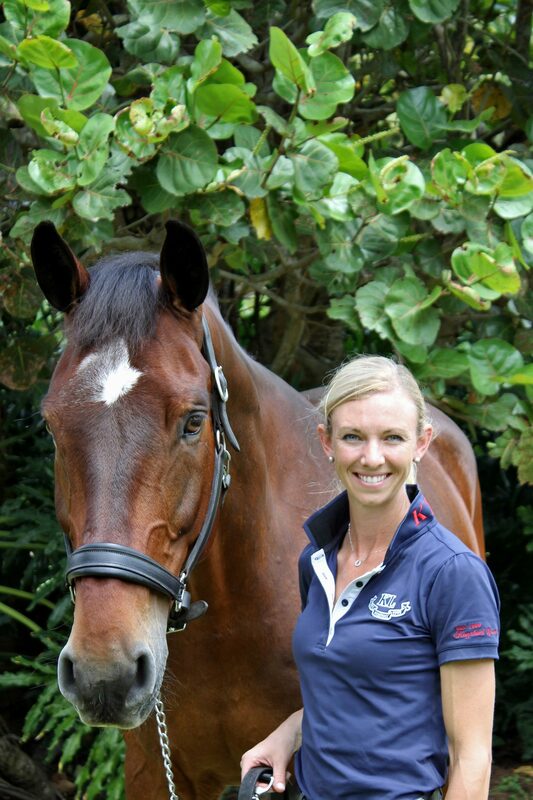 She’ll be sharing insight into what the mental side of equestrian sport looks like for her and how she has learned to build confidence, handle stress, and manage the various emotions that come with competing at the highest levels of equestrian sport! Get all the details here! The first pony that got me started was named Parker. I leased him, and actually, within six weeks of leasing him, I broke my shoulder! So my mom tried to ride him. She’d never ridden before; no one was in horses in my family. It didn’t go so great. She had one lesson on the lunge line, and then was not interested in riding him anymore! I got him when I was eight, I believe. He was a super sweet pony and kind of taught me the ropes. 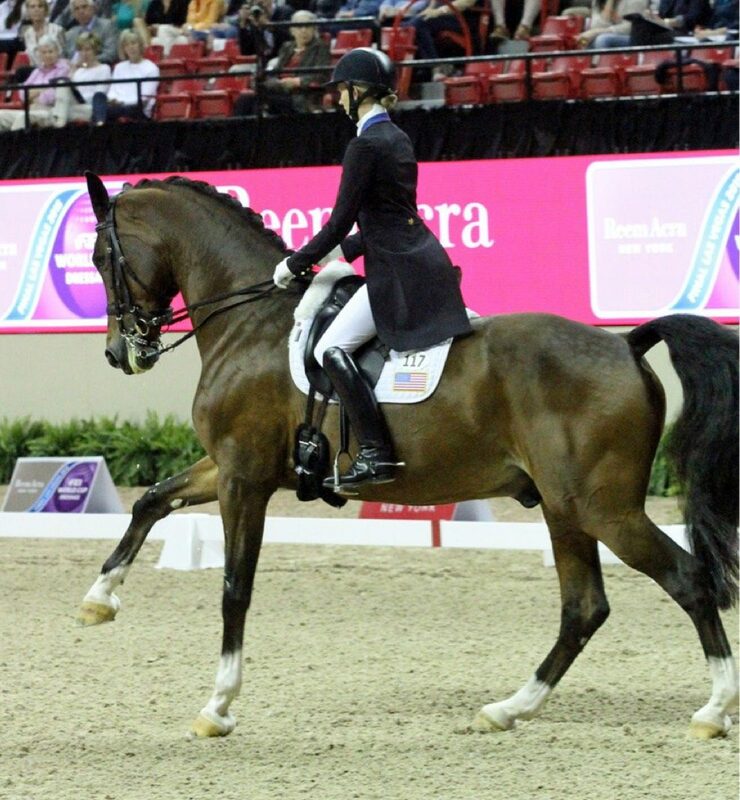 Probably my favorite memory personally was the Sunday of WEG for the individual final. I was the most relaxed that I think I’ve ever been to jump. It just was such a surreal experience being able to share that moment with my horse. Tokyo! All eyes on Tokyo [for the 2020 Tokyo Olympics]! A typical day when I’m not competing: I typically start around 8 a.m. Sometimes I work out before. It depends on my motivation level that day! Normally, whatever horses are showing that week, I’ll jump them at McLain [Ward]’s farm. So I’ll trailer over there. We don’t really do anything but gymnastics. That’s a huge part of our program. Then I’ll flat the other horses. I have two homebred hunters that I’ve been showing as well. So, I’ll go over to Linda Langmeier’s farm when I’m done riding my horses, which normally happens early to mid-afternoon, and I’ll go ride my hunters. Then I’ll hopefully get a workout in after. I either like to do a barre or pilates class, and I run a lot. Be patient. And listen to your trainer. Bonus Question! : What’s always in your tack trunk or ring bag? I have a wide array of spurs. I have a tack hook that has at least eight to 10 pairs of spurs on it so that I’m always prepared. I’m quite particular about what spurs I use on what horse. In my ring bag, I have the little individually wrapped Neutrogena wipes because I tend to get quite dirty during the day, and those are awesome. I also have my Equestrian Wellness hand sanitizer; I love that stuff. And sunscreen! 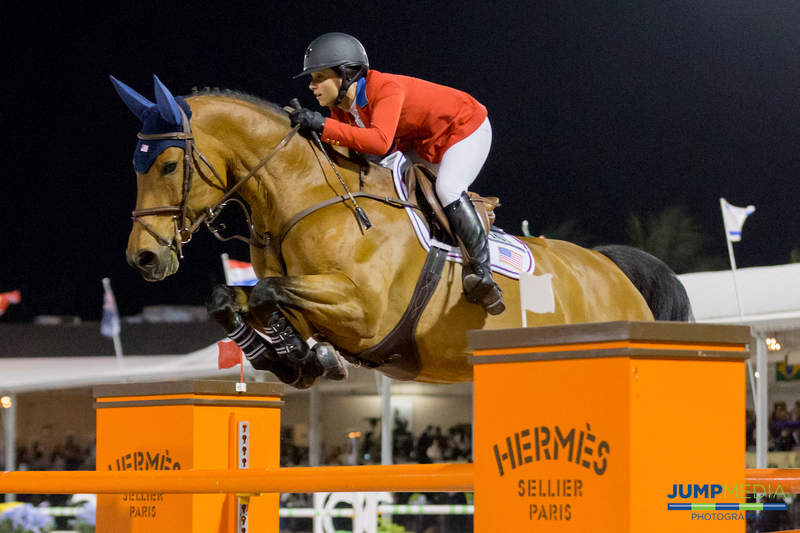 Hannah Selleck, 30, has made a name for herself as a successful jumper rider – most recently with her mare, Barla – but the Los Angeles, CA, native’s equestrian endeavors aren’t limited to the grand prix ring. In 2010, Selleck founded Descanso Farm, a boutique breeding operation dedicated to producing high-quality sport horses within the U.S. Now, nearly eight years later, the young horses of Descanso Farm are seeing great success in both the jumper and hunter rings – as is Selleck. BarnManager caught up with Selleck amidst her busy winter competing at HITS Coachella in California where she is showing Barla and bringing along the hopeful future stars of the sport! We lived on a ranch, so I was always surrounded by different animals: cats, dogs, sheep, rabbits, cows, and horses. My dad had Western horses that he had from filming some of his Western films. He enjoyed trail riding, and I started riding when I was four. My first pony was a small black Shetland pony named Sheba. I have a few. I would say winning both individual and team gold medals at the 2008 North American Junior and Young Rider Championships and winning the USEF Talent Search Finals that same year. Then, more recently, seeing our Descanso Farm bred horses winning in the show ring. It’s such a great feeling as we’re now beginning to see the goal through. For a while, when they’re very young and in the field, it doesn’t feel like as much of a tangible thing if you’ve never done it before. Now, we’re seeing it working and we’re seeing them really develop into great horses, and it’s very rewarding. Getting back in show ring after breaking my leg last summer. I showed for the first time midway through Thermal, and my goal is to be back in the FEI classes by the end of March. The last six months or so my schedule has been a bit different than usual. I would typically start riding every morning at farm by 8 a.m. We normally take Sundays or Mondays off. Right now, I am still making physical therapy a priority a couple times a week, so those days I start early with my physical therapist, then workout with my trainer, then head to the farm and ride the remainder of the day. On the days I don’t have PT or my personal trainer I still like to get a workout in after I ride doing spin, tennis, or swimming. Immerse yourself in the sport and in learning more about the horses – not just the riding. Spend time taking care of them and getting to know them. It’s so important and can go a long way in your success.